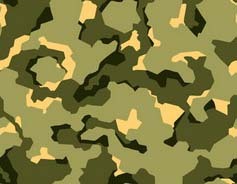 Maximum speed: Estimated at Mach 3.5 or more than 2.500 m.p.h. 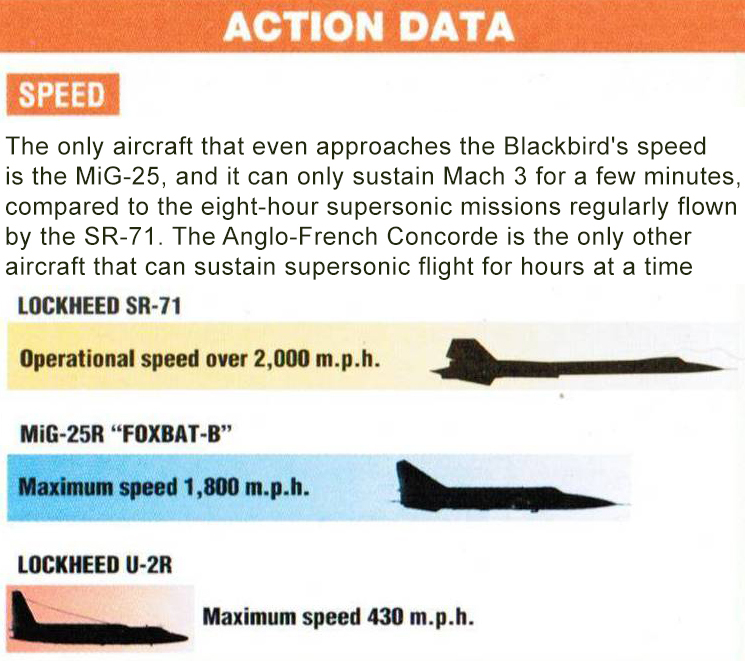 ; normal operating speed over Mach 3 or 2,000 m.p.h. Range: More than 2,500 mi. without refueling; intercontinental with aerial refuelling. Operational ceiling: 85,000 ft.; max ceiling estimated to be 101,500 ft. Weights: Empty 60,000 lb. ; loaded 170,000 lb. Span 55 ft. 7 in. Length 107 ft. 5 in. Height 18 ft. 6 in. The component parts of the Blackbird fit very loosely to allow for expansion at high temperatures. At rest on the ground fuel leaks out constantly, since the six large tanks in the fuselage and wings only seal at operating temperatures. There is little danger of fire, however, since the fuel is very stable with an extremely high flash point. The SR-71's shape is one of the first examples of the use of stealth technology to reduce the radar cross- section of a combat aircraft. The original CIA spyplane was developed into an armed interceptor. 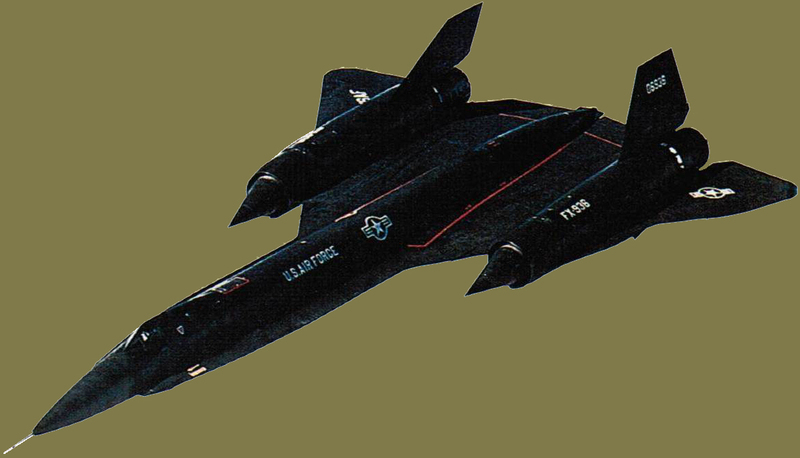 The YF-12 was equipped with radar and missiles carried in an internal bay. 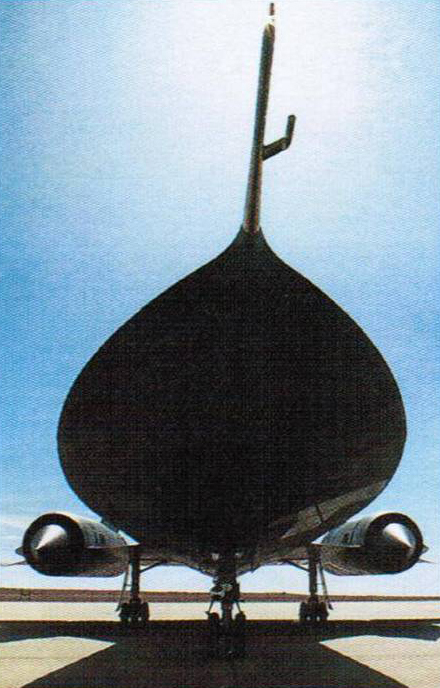 This unique reconnaissance ship came from Lockheed's top-secret "Skunk Works", the developers of other high-performance aircraft such as the U-2 (below). 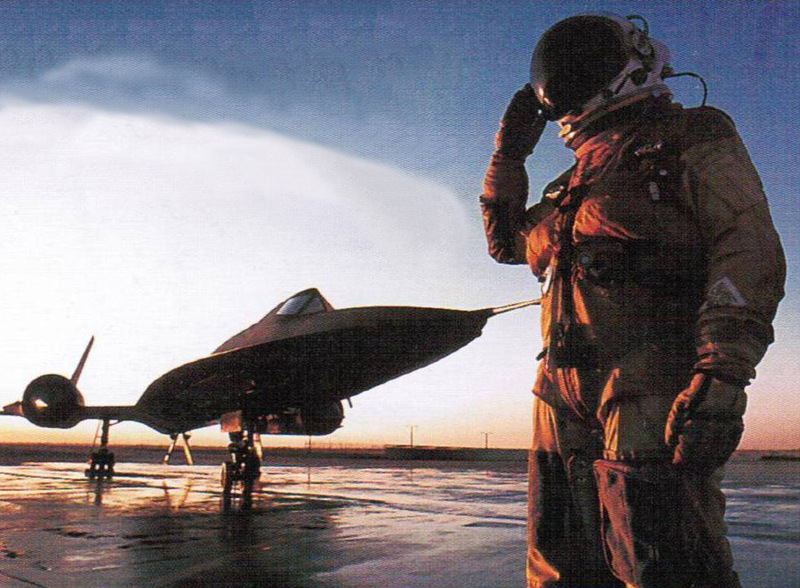 In the SR-71's heyday, a pilot could set off from one of its three main bases and get a photograph of any part of the earth's surface within six hours. 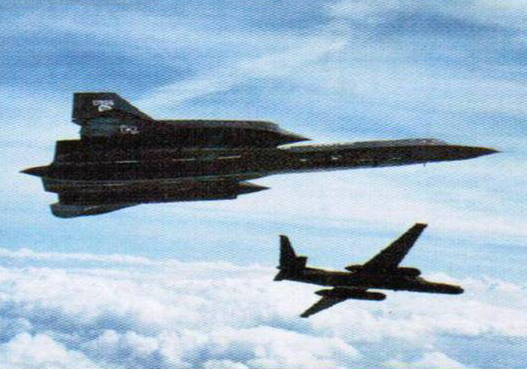 The SR-71's engines run on JP7, a special low-volatility fuel. A fleet of specifically modified KC-135Q tankers keep the Blackbird in the air.